Your little ones need and deserve all the pampering and love from you. 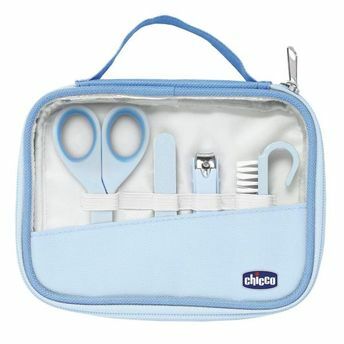 Chicco presents a complete nail care kit that contains all the essentials to take care of the little hands at home. The cute little portable bag comes with 4 accessories and can be hung in with the help of the loop on the top. Honestly, we would just want to own it for its cuteness! Baby nail scissors: In stainless steel with curved blades and rounded ends. Comes with protective cap for maximum hygiene. Emery Boards: 6 pieces, specially designed for newly born babies. Nail Clippers: With anti-slip handle and rounded ends for maximum safety. Nylon bristle nail brush with hypoallergenic nylon bristles.